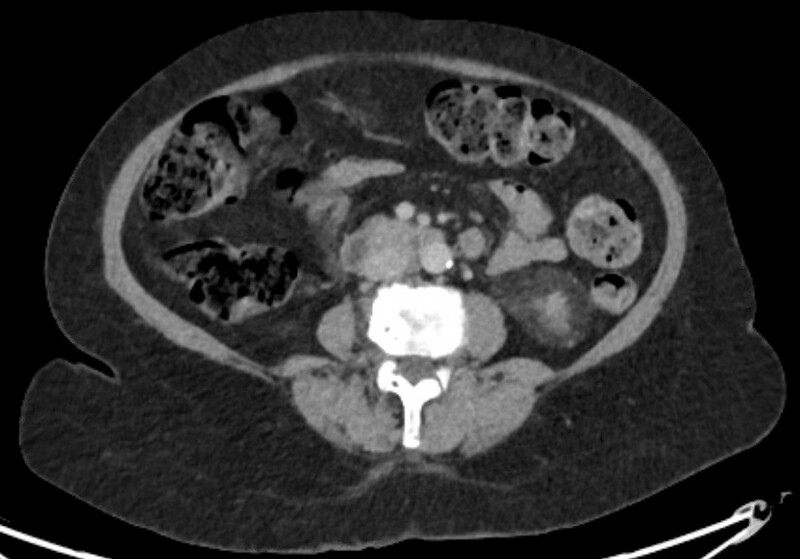 In addition to the article itself, there is an accompanying editorial written by a prominent member of the urological community. This blog is intended to provoke comment and discussion and we invite you to use the comment tools at the bottom of each post to join the conversation. There is also a video produced by the authors, and a podcast created by our Resident podcasters Giulia Lane and Maria Uloko. To provide data on the prevalence of urinary, bowel and sexual dysfunction in Northern Ireland (NI), to act as a baseline for studies of prostate cancer outcomes and to aid service provision within the general population. A cross‐sectional postal survey of 10 000 men aged ≥40 years in NI was conducted and age‐matched to the distribution of men living with prostate cancer. The EuroQoL five Dimensions five Levels (EQ‐5D‐5L) and 26‐item Expanded Prostate Cancer Composite (EPIC‐26) instruments were used to enable comparisons with prostate cancer outcome studies. Whilst representative of the prostate cancer survivor population, the age‐distribution of the sample differs from the general population, thus data were generalised to the NI population by excluding those aged 40–59 years and applying survey weights. Results are presented as proportions reporting problems along with mean composite scores, with differences by respondent characteristics assessed using chi‐squared tests, analysis of variance, and multivariable log‐linear regression. Fig. 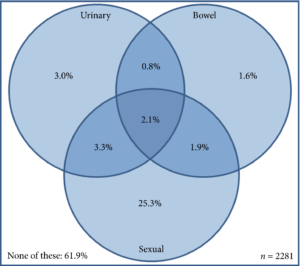 2 Combinations of reported urinary, bowel and sexual dysfunction amongst men aged ≥60 years in NI. Data are weighted to the NI population by age and deprivation. 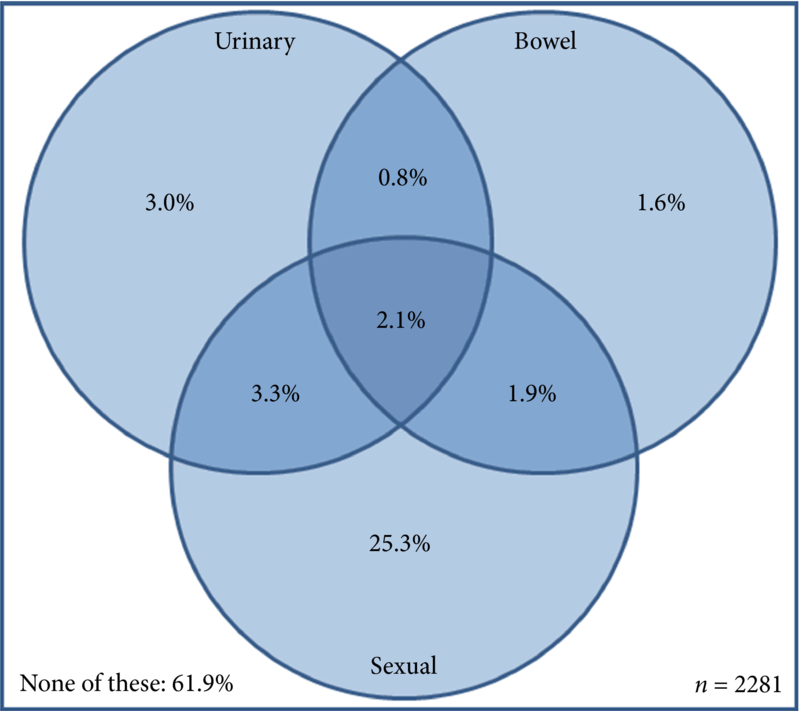 Venn diagram is based upon the proportion of men reporting moderate/big problems in response to specific questions from the EPIC-26 question set (urinary: q2.6, bowel: q2.8, sexual: q2.13; File S1). Amongst men aged ≥60 years, 32.8% reported sexual dysfunction, 9.3% urinary dysfunction, and 6.5% bowel dysfunction. In all, 38.1% reported at least one problem and 2.1% all three. Worse outcome was associated with increasing number of long‐term conditions, low physical activity, and higher body mass index (BMI). Urinary incontinence, urinary irritation/obstruction, and sexual dysfunction increased with age; whilst urinary incontinence, bowel, and sexual dysfunction were more common among the unemployed. These data provide an insight into sensitive issues seldom reported by elderly men, which result in poor general health, but could be addressed given adequate service provision. The relationship between these problems, raised BMI and low physical activity offers the prospect of additional health gain by addressing public health issues such as obesity. 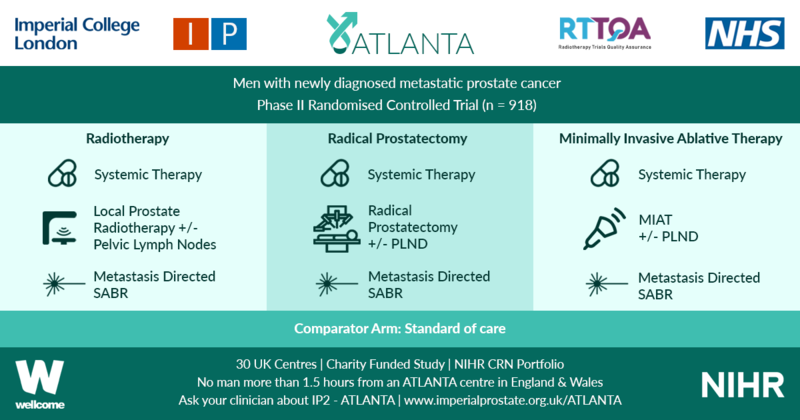 The results provide essential contemporary population data against which outcomes for those living with prostate cancer can be compared. They will facilitate greater understanding of the true impact of specific treatments such as surgical interventions, pelvic radiation or androgen‐deprivation therapy.